Adventure and Stag Weekends go together like Cannon & Ball (one for the 80’s), Brussels Sprouts and Christmas and Vodka Red ball. So I have quickly compiled a top 10 (in no particular order) of DesignaVenture’s top 10 selling Adventure stag weekends all based in good old Blighty. First of all there is no better place within the UK than North Wales for Stag weekend Adventure, with loads of mountains, rivers and immense terrain for motorised activities such as Quad biking there is no wonder why our stag package White Water & Wheels is in our top 10. Then you have Nottingham, situation right in the centre of Britain making it our most central stag location. Our Rage Buggies, Bikes & Boogie stag package not only has some brilliant motorised activities but also has fantastic accommodation and superb nightlife. Down the M1 you’ll find Milton Keynes, not usually associated with adventure, but if you want snowboarding tobogganing or ski-ing all on real snow and then sky diving (both indoor) you will find adventure and some, with our most popular package in this American style town called Sledge & Dive Weekend. Heading South to Bournemouth, there are two contenders both sitting at either end of the price spectrum however both extremely popular with our stag dos, they are Bournemouth Rocks which is full on and fantastic and The Bournemouth Offer Weekend, which is a cheap Stag Do as long as you can go out of season. 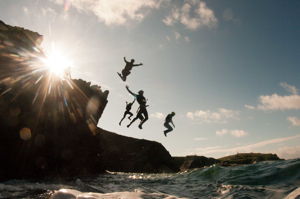 Heading even further South is the wild Cornish town of Newquay, the contender which includes Coasteering, is our very popular Adrenaline Junkie weekend, first created in 2003! Going up the M5 to Bristol there is one stag package that our stag parties looking for adventure loves and that’s the Bristol Gorge Weekend. This popular package includes Canyoning which is adventure with a capital A! Going further up the M5/6 you have Chester and one adventure Stag Weekend which stands out a mile is the Non Stop stag package, with Rage Buggies, Laser Clay Pigeon Shooting and White Water Tubing this weekend sells by the bucket loads. Moving up North again you have the crazy party capital of the North East, Newcastle. One stag adventure weekend which stands out a mile is the Guns, Karts & Dogs weekend. Paintball, karting dog racing and amazing nightlife will give you a Stag Weekend to remember. Our furthest North stag destination where we offer full on adventure is Edinburgh and here you can find the extremely popular Absolute Splash Weekend. Not only does this stag package include white water rafting at one of the best sites in the UK but also cliff jumping which will get the heart pumping. You then have the nightlife of Edinburgh, which will then put hairs on your chest! In October a friend of a pint or two Paul Booty, a solicitor from Bury St Edmunds, will be having a very sober Stag Do. According to the Bury Free Press, he has signed up for the Go Sober For October campaign, a month long charity event raising money for The Macmillan Cancer Trust. Unfortunately as he has booked his stag do for October, he will have to stay sober for the whole stag event, maybe becoming the designated driver! According to this article, there is temptation everywhere for Paul, as he has also won his own weight in Greene King Beer, which will arrive in October! We salute this guy, the Go Sober for October campaign is a great cause and all the money raised goes towards something very worthwhile, the Macmillan Cancer Trust. After a surprise marriage in the Bahamas to Kieran Hayler in January of this year, then having her baby 8 weeks early in a European hospital, apparently according to her column in The Sun, “Pricey Back”. She is planning a huge celebration to cover her Hen Do, Birthday and Wetting the Baby’s head. How about getting away from it all in North Wales and going white water rafting and quad biking, this will put the colour back into her cheeks after early morning feeds with Jett (her new son). The you have the checking into a 5 star hotel and drinking champagne type of hen do, having more spa treatments then she can eat, is possibly more her style. There are simply loads of fantastic 5 star hotels her hen party can unwind in, if she’s paying even better! 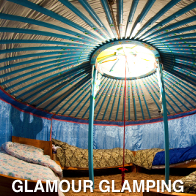 Glamping is a current trend ticking all the boxes for celebrating a modern hen do, sleeping in posh tipis, drinking, lighting fires and letting your hair down in the open air away from prying eyes, it can’t get any better than that, can it? There are so many possibilities and other fantastic hen party ideas can be found here. A North Wales Stag Do That Rocks! One destination, which is becoming extremely popular for stag dos is North Wales. 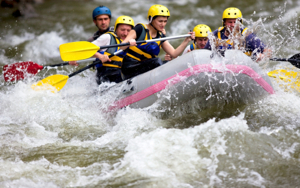 Full-on adrenalin style adventure weekends are the celebration of choice and one Stag Do in North Wales which is becoming extremely popular is DesignaVenture’s very own White Water & Wheels stag weekend in North Wales. Staying in a rural country inn for 2 nights you will find a fully stocked bar downstairs which is usually open until the last man stands, now there’s a challenge. On Super Saturday you have a huge Quad biking trek around the Welsh / Shropshire hills, climbing as you go with your prize for reaching the summit; a view birds eye view of 7 counties! In the afternoon you’ll get kitted out in wetsuits, helmets, buoyancy aids and oars. You then have to raft down river avoiding huge rocks and hitting as much white water as you can, a perfect Stag Do activity. So for a Stag Weekend full of adventure, get yourselves to North Wales with DesignaVenture, you will not regret it. People working at the Bristol Tourist Board have a very easy job, without doubt Bristol is one of the best hen and stag destinations we offer. So let’s delve a little bit deeper and find out what this amazing city has to offer. From themed nightclubs like the Bierkeller to signature cider pubs and lively bars, Bristol can cater for every Stag Do and hen party we throw its way. Then you have the incredible abundance of activities on offer including Rage Buggies (our biggest seller), Quad Biking, Cider Tasting, West Country Games, It’s a knockout, Vintage Bicycle Ride & Picnic, Dance Parties the list is truly endless. You can find loads of fantastic Bristol Stag Do ideas here. If you’re looking for a hen party to Bristol here are some ideas and packages to browse. Accommodation is another thing this great West Country city does well. 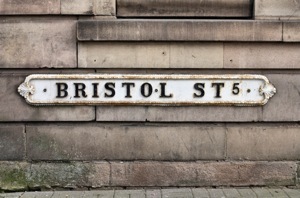 With a wealth of 4 star hotels in the city centre, you’ll not only have a fantastic day and night in Bristol, you’ll also get a luxurious night’s sleep, the opportunity to order chips at 3am in the morning and a huge breakfast when you wake (providing you wake before 11am that is!). So if you’re looking for a fantastic Hen or Stag Do destination, Bristol should be on your list of places to visit. An incredible saving can be had on the DesignaVenture’s Stag Do aptly named ‘Bournemouth Offer Weekend‘. Alright, alright keep your trousers on, first of all you are saving a massive £45.00 per person*! This package in the summer usually sells for £180.00 per person however, if you travel between the months of November and February you only have to pay a meagre £135.00 per person. Included in this amazing package is 2 nights in a 2 – 3 star hotel with breakfast located in the centre of Bournemouth, Quad Biking, Blindfold Driving, Human Table Football, Clay Pigeon Shooting and entry into one of Bournemouth’s best nightclubs. All that for just £135.00 per person is an incredible price how does DesignaVenture do it? Well, throughout the summer DesignaVenture has been making many friends down in Bournemouth, keeping hotels and activity sites busy with lots of stag dos and have managed to negotiate some better rates for the winter, and this saving is being passed on to all their lovely stag parties. That’s incredibly generous of DesignaVenture, how do I get myself booked on to one of these sic stag dos? OK, enough of the street talk! All you have to do is rustle up a £60 deposit** to book this Bournemouth Stag package and then get your friends to either pay online, pay you or call us and pay their deposit of £30.00 per person. You then pay the balance 5 weeks prior to your travel date. So for a no nonsense incredible Stag Do to Bournemouth at a price that will keep your bank manager in Ferraris you cannot go wrong with the Bournemouth Offer Weekend. Daniel Clavin a software developer from Co Roscommon, Ireland woke up after a stag night with a bout of the hiccups, nothing new there really, except it’s now 14 month’s on and he still has them!! According to an article in the Express, he has hiccupped on average every 7 seconds for 14 months, estimating at 5.25 million hiccups. This poor fella has had to move into the spare room so his wife can get some sleep and some days the hiccups are so bad they make him vomit or even pass out. He told the Express that on the Stag Do he drank more than usual, with a good mixture of beer and spirits and woke up the next day with a bit of a hangover and these pesky hiccups. Well we at DesignaVenture would like to wish Daniel all the best and hope the hiccups stop. First of all the Reading is a really easy location to get your stag party to, 5 minutes from the M4, a city centre train station and if you are feeling really flush, Heathrow is just 20 minutes away! Eating out is a breeze, there are loads of restaurants from chains such as Giraffe and Las Iguanas to the independents such as the fantastic Chinese Palace. You will also find drinking holes all over the place quenching your stag’s thirst and giving him some brilliant venues to celebrate his last couple of days of being a free man. In the centre of Reading you will find the Oracle, the Oracle is full of fantastic bars and restaurants with a great atmosphere and lots of seating outside lining the Riverside. Reading also boasts some pretty good 4 star hotels, all city centre, all 4 star quality and most importantly all Stag Do friendly thanks to DesignaVenture. So now we have the nightlife covered and your digs, what can a stag party do in the day? 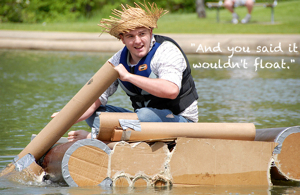 From Hovercrafts to Rage Buggies, Segways to The Cardboard Boat Challenge (as seen above), Horse racing at Ascot, Bathtub Kart Racing, Paintball, Indoor Karting there are simply too many to mention. My advice to you is to get yourself over to the Reading stag do packages and get browsing, there’s something for everyone, except for your Gran, that is. Never has there been a better time to bring out a Stag Do movie. Ever since the popularity of the Hangover trilogy, loads of stag movies have made the cut and 2013 is no different. Simply called ‘The Stag’, it’s about an Irish groom who is persuaded / forced by his fiancé to go on a camping Stag Do trip and to also invite her brother, simply known as ‘The Machine’. As you can expect loads will go wrong and after seeing the trailer this film looks absolutely hilarious. You then have an American movie called ‘Stag’ (it’s mad how our American cousins have adopted Stag Parties instead of Bachelor Parties). This is about a groom who was the ring leader of many Stag Do pranks on all his mates stag parties and is now in the firing line. With many funny scenes and great acting, this is also a quality film. So get the lads and get yourself to the cinema and get some Stag Do Ideas!